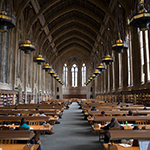 A major upgrade to wireless connections at the UW Tower and the Suzzallo and Allen Libraries is nearing completion, dramatically increasing the number of Wi-Fi access points, and improving coverage and capacity. As part of this effort, UW-IT just completed Wi-Fi updates to 30 other UW buildings, replacing aging infrastructure and dated access points, and is planning to tackle one of its biggest projects yet — providing seamless Wi-Fi throughout the many buildings that make up the Magnuson Health Sciences Center. The team also is installing more Wi-Fi access points in outdoor areas throughout the UW campus. The number of Wi-Fi access points at the Tower, including the immediate lower buildings that are part of the complex, is increasing from about 225 to about 260; doubling to 236 units at the Suzzallo and Allen Libraries; and tripling to 180 at Padelford Hall, home to several academic programs. “As a major public research University, we want to make sure that we’re providing one of the best wireless experiences to all students, faculty and staff,” Caldwell said. A major, multi-year initiative to replace the University’s legacy financial systems with a modern cloud-based system is gaining momentum, achieving key milestones and staying on track for completing the Readiness Phase by June of 2019. As part of the “Readiness Phase,” the UW Finance Transformation (UWFT) program has designed and implemented a governance structure, hired program staff, engaged with leadership and stakeholders, hired a Readiness vendor partner, and selected the finance platform, Workday Financials. More recently, the program team completed a University-wide Benchmarking and Data Gathering study to document and evaluate the systems, integrations and reports that support our current state. “This was a massive sprint that required active participation by hundreds of experts in every unit across the University,” said Aaron Powell, vice president for UW-IT and chief information officer, and a UWFT program sponsor. “It was an incredible feat to achieve 100 percent, on time participation, especially given the effort took place during what is quite possibly these experts’ busiest time of year,” he said. With support from the new Readiness Phase partner, Deloitte, the UWFT program team just completed validation and analysis of the data gathered, which is enabling the program to move forward with confidence into the next stage of Readiness: development of the future state design, operating model, and Workday prototype. The UWFT program is the largest UW administrative modernization effort to date, larger in scale than the recently completed HR, payroll, benefits and time-tracking system implementation of Workday. The program involves a complex, multifaceted effort to replace the University’s aging 43-year-old Finance Accounting System (FAS), along with its multiple side systems and processes — a switch that will drive fundamental changes to the processes, policies and tools that the UW employs to track, spend, collect, manage and report University finances. 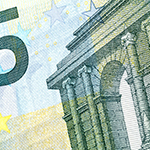 Find out more about UW Finance Transformation and read the latest updates. For University Registrar Helen B. Garrett, the web-based Knowledge Navigator has quickly become an indispensable tool for helping make sense of University business and enterprise data. Read the full story on how Garrett and others across the UW are developing and using the tool for strategic planning and decision-making — and learning how to speak a common language. The story is part of UW-IT’s 2018 Partnerships series, which highlights how colleagues throughout the University are collaborating to advance teaching, learning, innovation and discovery and help the UW operate more efficiently. Canvas, the University’s learning management system, gets high marks from students and faculty in the latest survey about the tool, but findings also show that providing faculty better access to instructional design advice and improvements to the tool itself could further enhance the teaching and learning experience. Students and faculty are generally satisfied with Canvas and its ease of use — with students giving the tool higher marks — and satisfaction consistently increasing over time. Results of the spring 2017 survey reflect the input of 648 instructors and 4,670 students from all three campuses. The survey showed that not everyone is using the tool to its full potential. However, instructors who have a lot of experience with the tool also are more likely to expand their use beyond course management alone. 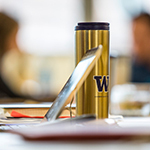 UW-IT, which manages Canvas, will continue to work with the vendor to influence product development and encourage changes to the tool to help strengthen the experience and teaching practices at the UW. The survey also showed the need for instructional design staff to continue working with faculty to expand and deepen their use of Canvas. When the Foster School of Business sought to increase the capacity and responsiveness of its help desks and offer 24/7 support, it partnered with UW-IT to make it happen. 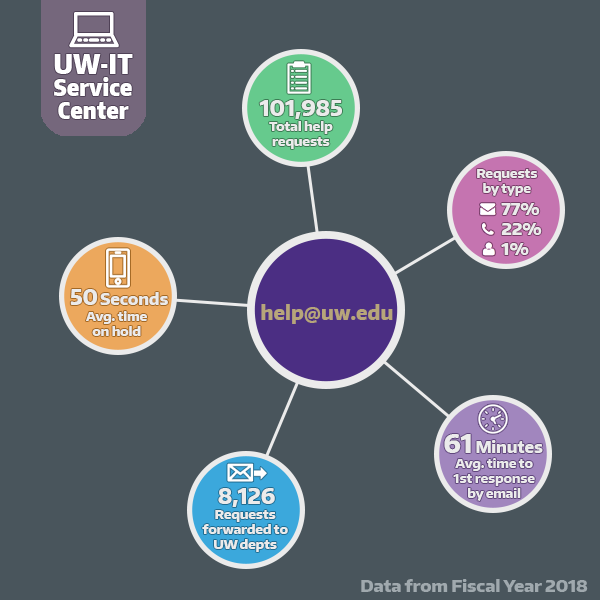 “By partnering with UW-IT, we wanted to see if we could increase capacity to better serve our Foster community, and save money while doing it,” said Jeffrey Balaz, who manages an IT help desk at the Foster School. Read the story about how UW-IT’s new for-fee Enterprise Service Desk service helped the Foster School improve its customer support. The story is part of UW-IT’s 2018 Partnerships series, which highlights how colleagues throughout the University are collaborating to advance teaching, learning, innovation and discovery and help the UW operate more efficiently. Most of UW-IT’s Self-Sustaining Services and rates will not change for FY 2019, and only a handful of them will have moderate increases from the previous fiscal year. The FY 2019 rates for these services are pending approval by UW Management Accounting & Analysis. When approved, they will be valid starting Oct. 1, 2018. 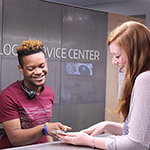 Please refer to the UW-IT Service Catalog for a list of services, and visit the Self-Sustaining Services and rates webpage for updates. 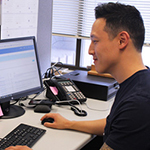 Research consent forms for human subjects can now be signed online with the UW’s eSignatures service, thanks to a partnership between the Human Subjects Division and UW-IT. The eSignatures service allows users to send, receive and manage documents that require an electronic signature, and it supports the University’s initiative to go paperless while increasing administrative efficiencies. The Human Subjects Division provided the expertise and guidance to make electronic signatures an option for research consent forms. The new offering requires investigators to gain approval from the Institutional Review Board and to go through an onboarding process with UW-IT. 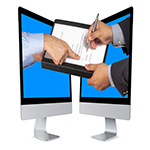 UW-IT offers the eSignatures service at no cost to UW departments. For further information, please contact the eSignatures team at help@uw.edu or visit IT Connect. Read how the Department of Geography linked students to nonprofit organizations to help solve critical community problems, in the third article in a series about innovators in teaching and learning. The articles are produced through a collaboration of the Office of the Provost and UW-IT. Erik Hofer has been appointed the new associate vice president for UW-IT’s Academic Services division and deputy chief information officer (CIO), effective August 27. Previously, Hofer served as CIO for the School of Information and Clinical Assistant Professor of Information at the University of Michigan (UM), and before that he was Learning Program Director for UM’s Medical School Information Services. Hofer will provide strategic direction and oversight for key IT tools and initiatives that support teaching and learning at the UW. Don’t forget that Deskmail, Alpine, Web Alpine, and Pine will be fully retired by December 31, 2018. As of that date, access to UW Deskmail accounts will end and email stored on them will be permanently deleted. Two email options are available to current members of the UW community: UW Exchange Online, part of the Microsoft Office 365 Suite, and UW Gmail, part of the Google G Suite. Check out the redesigned IT Connect website, with new content and features to help students, faculty and staff find the IT tools they need. The website is the essential information portal for tech resources, tools and services. Also, make sure to check out the new Staff Quick-Start Guide. The second phase of security enhancements designed to reduce risk to the UW network begins Oct. 16, when UW-IT starts to block specific ports on the UW network from incoming internet traffic — ports that are frequently abused. Little or no impact is expected for a majority of network users. Learn more about these security enhancements. New tools for your data-driven decisions: Run analyses on both inflation- and non-inflation-adjusted expenditures using UW Profiles, a set of web-based dashboards that provide access to valid, defined institutional data. If you don’t have access to UW Profiles, request access, and if you have questions, email help@uw.edu. You can also explore enrollment, degree, graduation and retention trends on the recently updated Public Profiles interactive dashboards. Risk advisory: Learn how copy, print and fax devices may be exposed to certain threats, and what you can do about it, from the Office of the Chief Information Security Officer. Mark your calendar for the next Tech Talks presentation, on Nov. 6, from 10 a.m. to noon on the Seattle campus. Also, if you have a topic that may be of interest to the diverse multi-campus technical support community, send us your proposal. If you’re a Managed Workstation Services (MWS) customer, take advantage of UW-IT’s handy, secure tool for simplifying password management across a range of applications. LastPass Enterprise allows users to manage passwords across websites and applications through a master password.